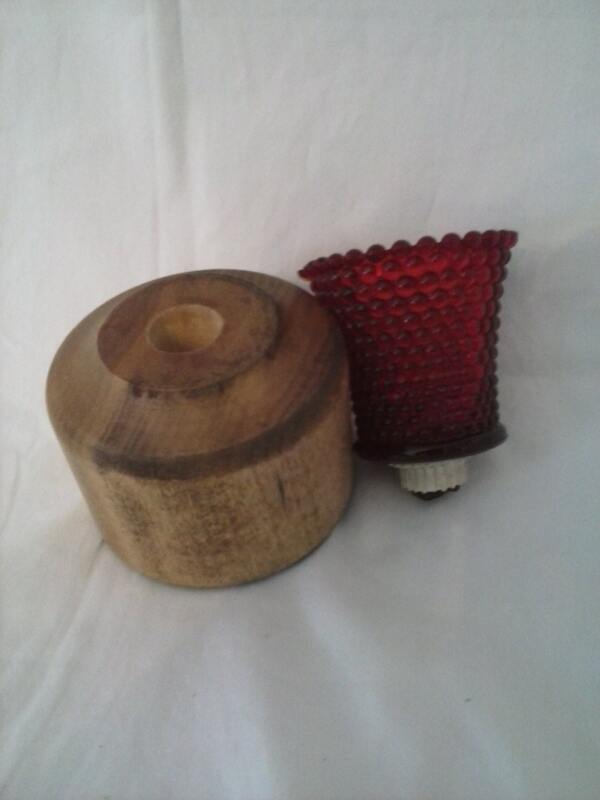 Wooden candle holder with glass globe and tea light. This is a beautiful item for any room of your home. The base measures 3.75" wide and 3.25" high. The Red glass measures 3" wide and 3" high. The total height is 6". 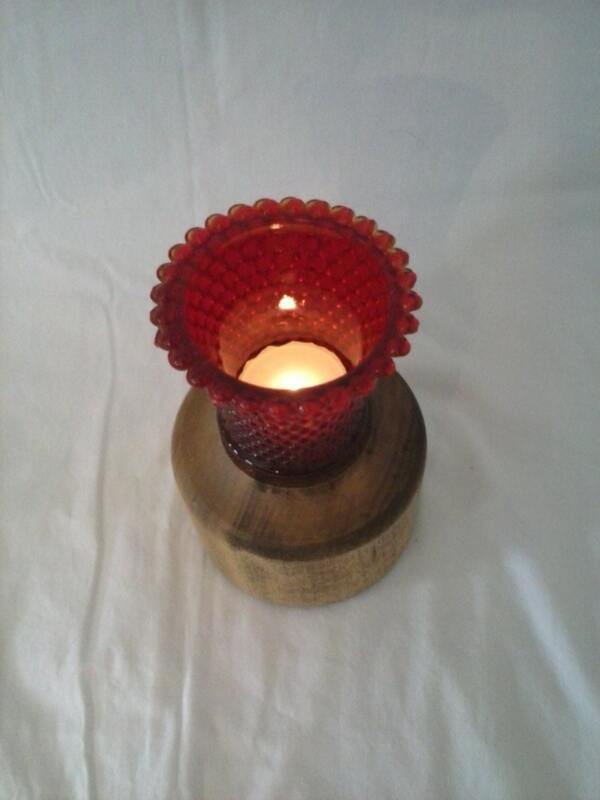 The base is made of pine and is stained Golden Oak with a satin gloss. The wood is made from recycled lumber and or used lumber. As you can see in the images. The item comes apart and I have included tea light. 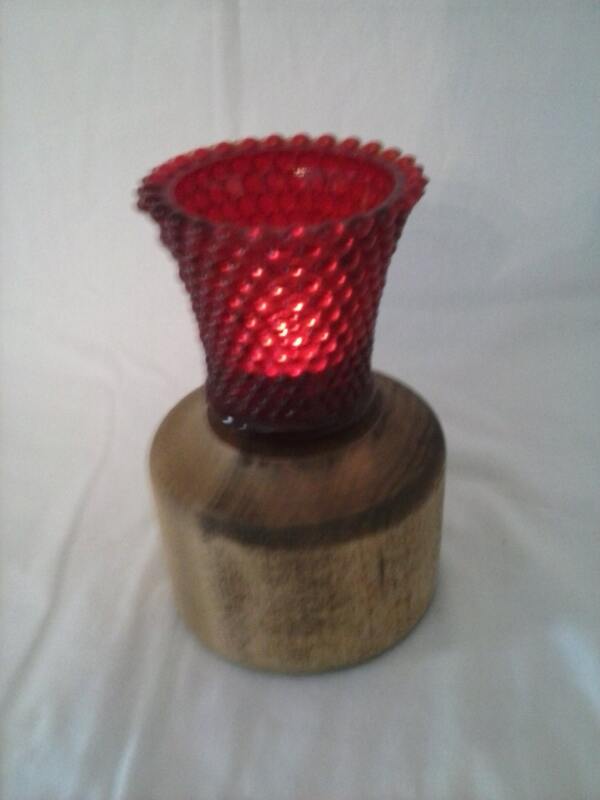 At night this piece makes a wonderful glow to any room of your home.